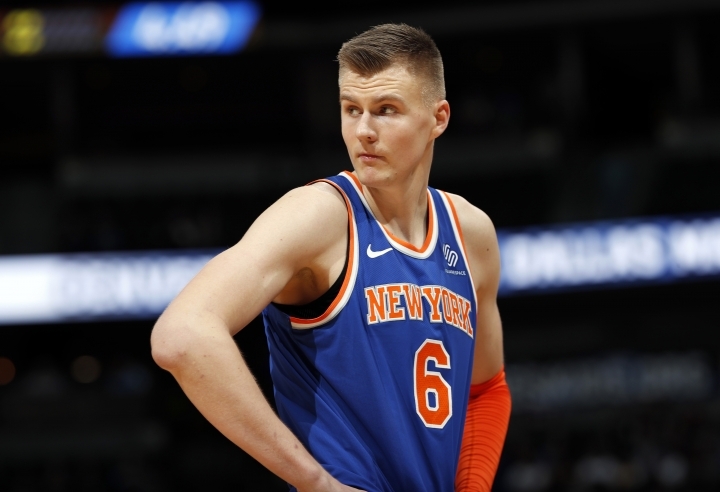 NEW YORK — The New York Knicks were having their doubts, wondering if Kristaps Porzingis truly wanted to be part of the franchise. On Thursday, they say he made it clear he didn't. Once that happened, they decided to trade the All-Star forward who was thought to be one of the key players for their future. "When he came in today, it was clear to us that it was time to pull the trigger on something," Knicks President Steve Mills said. That was a seven-player swap with the Dallas Mavericks that also netted New York two future first-round draft picks and possibly enough room to afford two top free agents this summer. 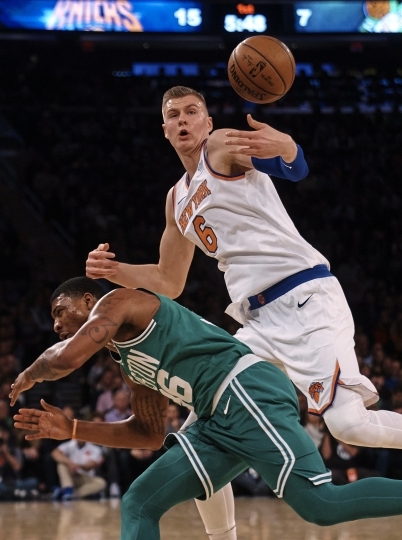 Porzingis has been sidelined for nearly a year after tearing his left ACL. The Knicks said recently he would undergo testing during the middle of February that could have determined if he would be able to return this season. If it does, it will be in Dallas, where he can form an intriguing international frontcourt with rookie Luka Doncic. Both played professionally in Spain before coming to the NBA as top-five picks. "He's big, he can shoot, he can rebound. He can do a lot of things," said Doncic, who was with the Mavericks at their game in Detroit. "I think he can be one of the best players in this league." The Knicks acquired Dennis Smith Jr., DeAndre Jordan and Wesley Matthews in the deal, while also sending guards Tim Hardaway Jr., Trey Burke and Courtney Lee to Dallas. New York general manager Scott Perry said the Knicks would get an unprotected pick in 2021 and the other pick would be in 2023. "We feel like we did the right thing," Mills said. "When you're trying to think about how you want to build your team for the long term, you don't want to commit a max (contract) to a player who clearly says to you he doesn't want to be here," Mills said. The 7-foot-3 Porzingis was the No. 4 pick in 2015 and averaged 17.8 points and 7.1 rebounds in New York, where he was expected to be the Knicks' franchise player for years. But they declined to give him a contract extension before this season — they say he was in agreement with that decision — and now by trading him and Hardaway seem instead to be gearing up to pursue players in free agency, with nearly $70 million in cap space. Hardaway has two more years and about $37 million left on his contract, and moving that was necessary if the Knicks were going to find a way to open the most cap space possible. New York (10-40) has the worst record in the NBA and is headed toward landing a high pick in the draft. Then the Knicks will be set up to be big spenders in a free agent market that could include Kevin Durant, Kawhi Leonard, Kyrie Irving and more. But they won't have Porzingis, who they once believed was the kind of talent who could help attract those players. 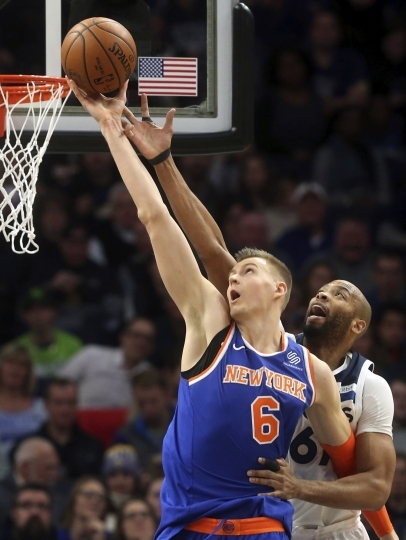 The Latvian has 3-point range on offense and shot-blocking skills on defense, and had made his first All-Star team just before tearing his ACL after a dunk against Milwaukee on Feb. 6. He had been frustrated with the franchise before, skipping his exit meeting after his second season before returning to Europe for the summer. 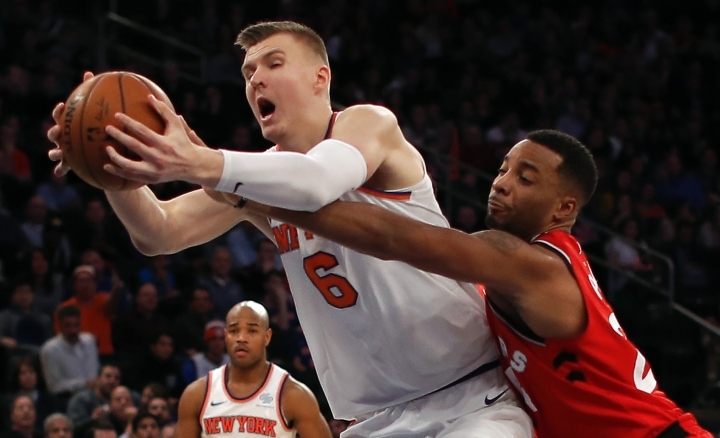 But Knicks coach David Fizdale had said Porzingis was frequently around the team even while he couldn't play, taking part in meetings and some activities on the court. He was there Thursday, and after a meeting the Knicks had their answers. "We wanted a confirmation from him whether he was completely in or out," Mills said, "and he made it clear to us when he came in to meet with us that no longer wanted to be part of our group." The most valuable player in the deal from the Knicks' standpoint is likely Smith, the point guard they passed on with the No. 8 pick in 2017 when they instead took Frank Ntilikina. The Mavericks took Smith one pick later, and he posted the second triple-double of his career Wednesday when Dallas won at Madison Square Garden. Jordan is a former U.S. Olympian and top defensive center. The Knicks said they wanted to keep Jordan and Matthews, believing they could help their younger players. AP Basketball Writer Tim Reynolds and AP Sports Writer Noah Trister contributed to this report.